In 2001 we planted just over 5,000 vines spaced at 1.6m in rows 2.3m apart. We have 55 rows with a combined length from the first vine to the last of just over 8 kilometres or 5 miles! So keeping fit is a distinct plus side of having a vineyard. To support the vines we use just under 50,000 metres of wire, 1,500 posts, wire tensioners and post anchors to ensure the row does not fall over. We are pruning thevines to be trained on a Double Guyot trellising system which is as the name implies is French in origin and looks like a large M or a T.
Chardonnay* Classic French variety we are using ENTAV 96 clone on SO4 rootstock. Pinot Auxerrois* A distant relative of Chardonnay and used in the Alsace Region of France. Reichensteiner* A German Grape developed in the late 1930’s, known for its heavy cropping abilities. Sevyal Blanc* A French grape developed in the 1920’s and at one time France had over 1300 hectares, though this has reduced in recent years. A consistent variety that can be used for still and sparkling wine production. 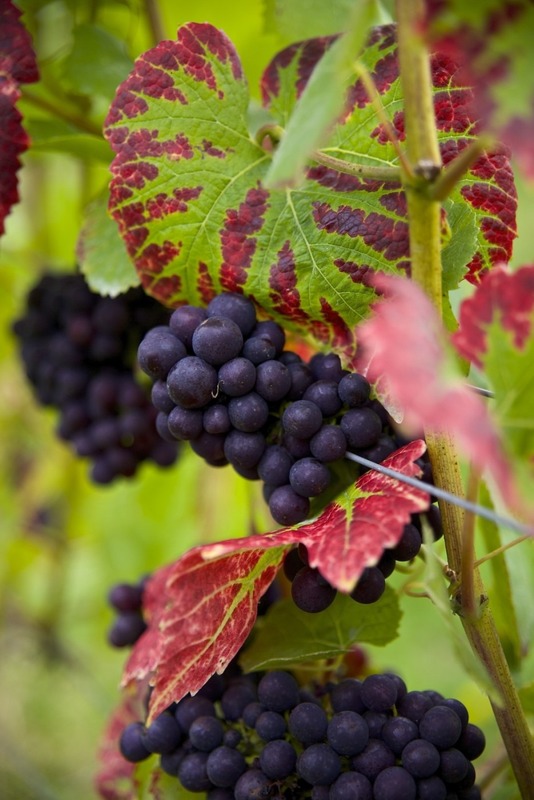 Pinot Noir* One of the classic varieties grown throughout the world for red wine production and also for sparkling wine production especially Champagne. * These varieties can also be used in the making of sparkling wine We did a little replanting in the spring of 2006 & 2008 to fill in a few gaps. Lynn is also keen to have a variety that will produce a sweet or pudding wine, as yet we don’t know what’s the best horse to back. We are after all a commercial business and the best grapes make the best wine and give the vineyard owner the best return. English Vineyard Growing and Producing English Sparkling and Still Wine, Cider and Apple Juice.